Freeside Atlanta: Open Source 3D Printing Meetup. Open Source 3D Printing Meetup. Freeside Atlanta will be hosting an Open Source 3D Printing meetup. Like most events at Freeside this will be free and open to the public. 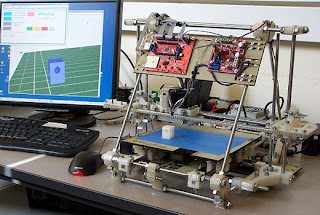 We will have a number of 3D printers on hand to show off and will be building a new one during the meetup. This is a great opportunity for people to learn more about 3D printing and to see some printers in action. There will also be a special guest who operates ultimachine.com and has built a successful business around this emerging technology. Hope to see you there!